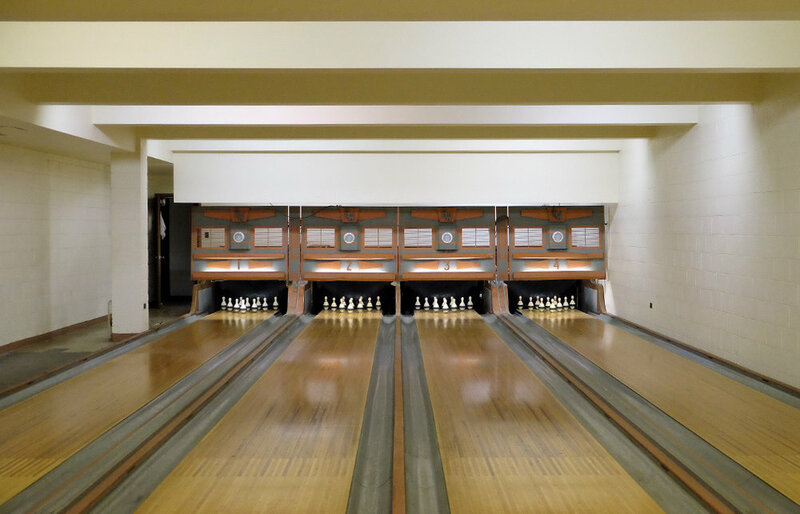 On this site, I've claimed to have tried and photographed every variation of bowling found in North America. 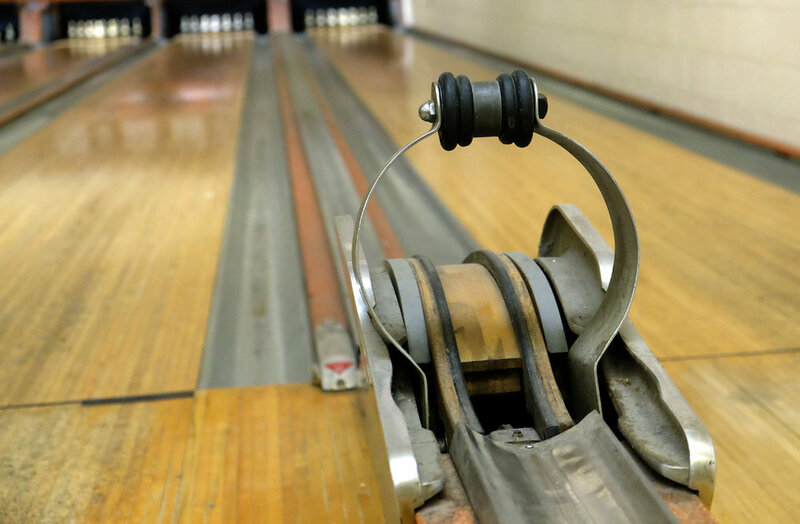 And then someone would inevitably point out that I'd never seen rubberband duckpins. 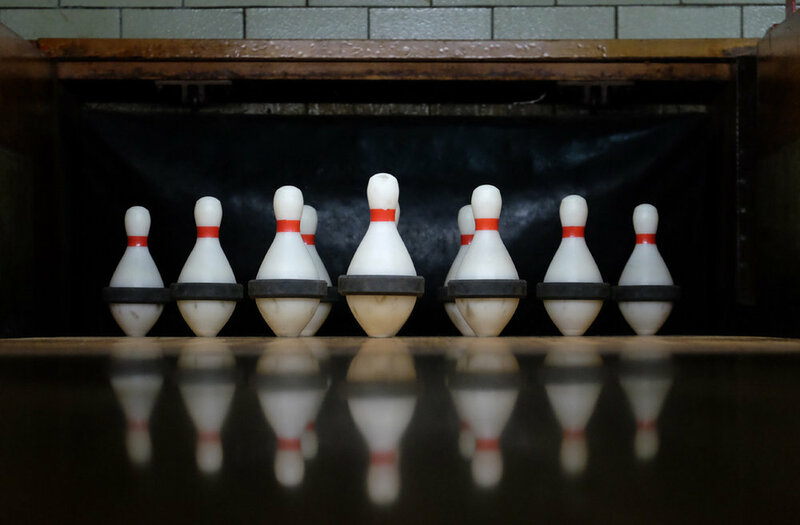 "I've photographed regular duckpins," I'd counter. "Isn't that close enough?" I finally had the chance to check out the "rubber ducks" in February, 2018, in Pittsburgh. And as it turns out, the games are quite different. For one thing, the bands cause livelier pin action — resulting in a higher-scoring game. Perfect rubber-duck 300s have been attained, while the record for "band-less" duckpins is 279. Also, the rubberband version is much more scarce. 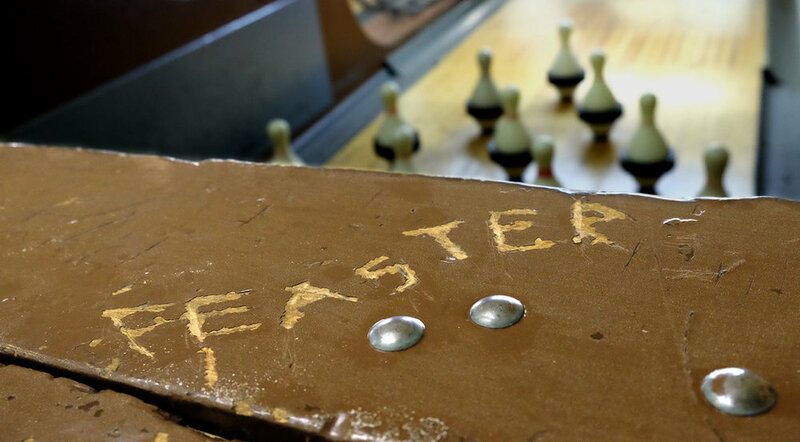 I discovered several churches and private clubs in western Pennsylvania with manually-set rubberband lanes — but only managed to locate one public, commercial operation. Nationwide, it appears that only three or four public rubber-duck centers exist today.